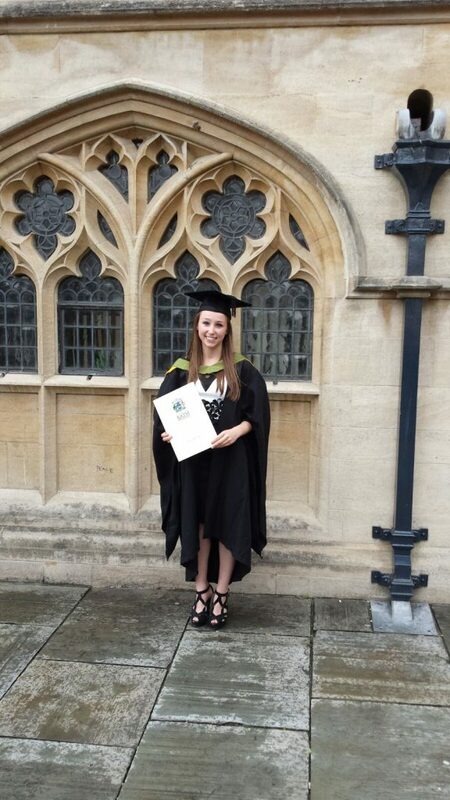 I’ve recently graduated from the University of Bath with a degree in Mathematics and Statistics and it was through my degree that I first became interested in the application of statistics to medicine. During my placement year I worked for a pharmaceutical company as a statistician and really enjoyed it. I felt as though I was doing something useful with my maths and statistics and really helping people. In my role with Restore I am using my knowledge of statistics to advise and help scientists. It will also be a learning process for me! I am especially interested in encouraging best practise and collaboration between scientists and statisticians. It’s really important for statisticians to be involved right from the start at the design stage of a study rather than trying to salvage data at the end. Scientists and statisticians should work together and help each other. At Restore I have been involved with projects right from their beginning, which has been great. This early involvement is very important. For example, if you are designing a survey and don’t have the right questions then when you come to analyse it, you may find that some data which you are after doesn’t exist! It is very easy to omit something which may seem insignificant, but which could lead to problems down the road. For example, the comparison of subcategories of the population being studied can become impossible. In addition, getting involved at the start can help ensure you recruit the correct number of people and avoid wasting time and resources. My role with Restore involves assisting with both study design, analysis and interpretation. Interpretation in particular can be tricky- such as knowing whether you are justified in generalising your findings to a wider population. Do you have any thoughts on the use of statistics and epidemiology in the medical literature? In recent years, it has emerged that there have been many studies which are not reproducible due to a lack of detail. These details are the sort of things which could easily be overlooked, but they are important to include if other people are to be able to reproduce the results, or to have the confidence to conduct further work on the back of the research. There are now guidelines to try and prevent this. Everyone needs to make the push together and this is why collaboration between scientists and statisticians is so important. Not only do scientists and statisticians need to work together, but they need to actively want to work together. Having statisticians involved from the very beginning of a project can help ensure that communication and understanding between scientists and statisticians is high throughout. Modern clinical medicine is all about the multidisciplinary team. Doctors, nurses, physiotherapists, clinical psychologists and others all work together to deliver patient care. Does good research also require a multidisciplinary team? Absolutely. Everyone trains for a very long time in a rather specific field. No person can possibly know everything so it’s an absolute necessity to work closely together. After spending the Summer building up my experience by working as a statistician for a pharmaceutical company, I’ll soon be returning to Bath to complete a combined MRes/PhD programme in Statistical and Applied Mathematics. Although I’m not sure at this stage what my PhD will be in, I would like it to be in the field of statistics applied to medical research. Data sets are getting bigger and bigger at the moment and genetics is becoming an ever more important topic so there are many emerging areas where the methods for getting the most useful information possible from the data will continue to be developed. I hope to be able to help doctors and scientists to understand and apply the underling statistical concepts. I can see myself working as a statistician either in a pharmaceutical company or in healthcare policy. Overall, I want to work in statistics and help medical research.